Americans move a lot, and new jobs often lead car owners to the other side of the country. Driving a personal car for such a distance puts a lot of wear and tear on a valuable piece of property. Auto shipping companies allow you to move your vehicle without racking up miles and providing you the option to fly or drive a U-Haul. It’s important to know you’re protected before you sign any shipping contracts, though. Your insurance may give additional coverage, and you should expect insurance protection from the shipping company as well. Car shipping companies have to have their own insurance. It’s a legal precaution that protects both the shippers and their customers. Their policies range in coverage, however, so it’s a good idea to take a look before your car is loaded. As a customer, you have a legal right to review your shipping company’s insurance coverage. They should provide you with a copy upon request. Read the fine print and ask questions. If the shipping company hesitates to provide their insurance information, you should find a different auto shipping company. There are plenty available, and they’d all be happy to receive your business. Never trust someone with your car when they aren’t willing to provide proof of their responsibility. Unfortunately, many auto shipping companies try to avoid responsibility by hiding waivers in their contracts. These allow them to legally avoid all responsibility for damage done to your vehicle while in their possession. It’s one of the key reasons you should always read the fine print before you sign anything. It’s always better to be safe than sorry, and finding out how shipping works with your insurance is a critical safety measure. Ask your insurance provider if they offer secondary coverage in case the auto shipping company cannot cover all damages. Ensure there’s a safety net ready before you take the plunge. Make sure you know exactly how your policy handles “acts of god.” If a tree falls on the auto shipping vehicle, that may not be covered under the shipper’s insurance. Falling trees, hail, and other natural events typically fall under your own insurance as acts of god. Discuss these potential events with your insurance provider to make sure they would be covered before you hire a shipping company. Your insurance may also help protect your property if the auto shipping company managed to hide something in the small print. While most auto policies are designed for day to day risks, your insurer may be able to provide additional protection to make sure you’re covered during your move. In the best case scenario, you will not need to call on the shipper’s insurance or your own policy. Taking precautions may help avoid accidents. They also help you get the payout you need if anything does happen. Don’t use your car as a large box. People usually have their cars shipped when they make a big move, and packing your car is second nature to travelers. No matter how tempted you are to put some pots and pans in the trunk, however, you should resist. It’s easy for these items to turn into projectiles or get damaged during transit, and the shipper’s insurance won’t cover damage they do to your car or others’ cars. Take before and after photos of the full exterior and interior of your vehicle. If there is damage to your vehicle it’s much easier to prove it with photographic evidence. Record mileage. This will help ease your mind that no one uses your car while it’s out of your sight without your permission. Make a detailed report. 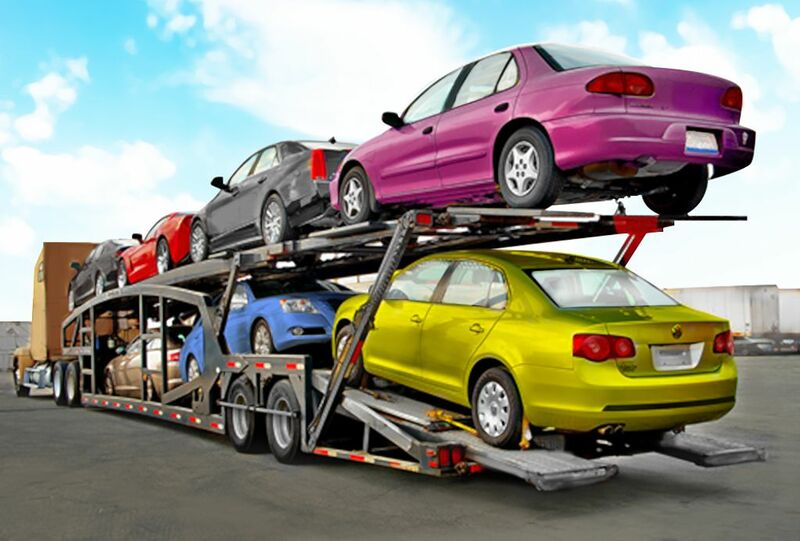 Work with your auto shipping driver to make a careful report before your car is loaded. The before and after photos are for your benefit, but this step is for the shipper’s insurance. Your driver should make a written report about any pre-existing damage to your car. If the driver skips this step, you should not let them load your vehicle, because if they don’t meet their insurer’s demands, the insurance may not cover your car if there’s an accident.